For most of my life, I have believed that Bible study is critical for spiritual growth. However, I didn’t know how to get started. The thought of opening the Bible felt overwhelming to me and at times even felt boring. As a result, I missed out on the incredible blessing of hearing God speak directly into my life through the Scripture. Today I am jumping into a new Bible reading plan with First McKinney. Last year I did the plan with four other men in our church. This year, that group of five (counting me) has multiplied into five groups of five or six guys. As we dive in again, I’m reflecting on what God is teaching me about how to be transformed through my time in His Word. Years ago, a mentor taught me the importance of scheduling quiet times into my week. In order to have a successful personal Bible study, you should set a time, a place and a plan. Schedule your meeting with God before your day even starts. Look at your calendar a week at a time. Prioritize this meeting and honor it like you would a meeting with the most important person in your life. Time – When are you most alert? Place– Where will you be distraction free? Plan– What will you do? Maybe you are like me and have tried to start in Genesis and read the Bible straight through. Multiple times I found myself getting bogged down after a few weeks. It was my incredible wife, Rebecca, that showed me how a Bible reading plan (we used the One Year Bible for many years) helps to engage different parts of scripture and keep each day’s reading dynamic. One year we did a chronological plan. You can look for all kinds of plans online and through the outstanding free Bible app, You Version. This year I will be doing the Read the Bible For Life 4 + 1 plan and focusing on the New Testament and Psalms. If you are a new believer, consider reading John and Romans first. These books will give you a good picture of the climax of all of the scripture: Jesus. Set goals. Seek accountability. If you are consistent in your personal Bible study, you will see your time move from a duty to a delight. You Version is a great tool to do your Bible reading with others. What is God saying to me? Summarize what God is saying through the verse or passage in your own words. What does this say about you? What does it say about God? Who will I tell? We are called to be Jesus’ witnesses not lawyer. A witness shares what they have seen and heard. Who can you share with what God is teaching you? Title the journal entry, date it and create a contents page in your journal so you can quickly reference what God has been teaching you during your personal Bible studies. What is God saying to me? :(My own words) Are you desperate for God’s guidance? Request it from the benevolent King… and He is going to dump it on your life. The Bible is the Word of God, but the power of God is not released in our lives until we apply it! When we apply the Bible through the power of the Holy Spirit, it becomes a life-transforming book. Nothing is more exciting than seeing the God of the universe actively leading our actions. Nothing is more difficult and discouraging than reading the Bible when we are not applying it. Note: You must be saved through faith in Christ and filled with the Holy Spirit in order to understand and apply the Bible. Obedience follows faith. If you have questions about how to follow Jesus by grace through faith, click here. 30 Days to Understanding the Bible(by Max Anders) Understand in a basic way how the Bible is put together. Awesome foundation for everyone’s personal Bible study. Living By the Book(by Howard Hendricks) Gives an inductive approach to studying scripture along with unique procedures for observation that will lead to rich time with Jesus in His Word. One Year Bible: http://www.oneyearbibleonline.com: Print this plan and keep it in your Bible as you read with PCBC in 2013. YouVersion.com: Many diverse reading plan options that can also be pulled up on your smart phone or tablet. ESV Bible Reading Plans: http://www.esv.org/resources/reading-plans-devotions/. Find a plan that fits you. Easy to print out these plans to keep in your Bible. Project345.com: Basic reading plan through the New Testament that takes approximately three minutes and 45 seconds each day for a year. First McKinney seeks to base our teaching on God’s Word. Join a Connect Group and dive into scripture with other believers. At times I get asked for book recommendations. This morning I did some copying and pasting to put together a list of ten books for a friend in our church and I thought it could be helpful to share. 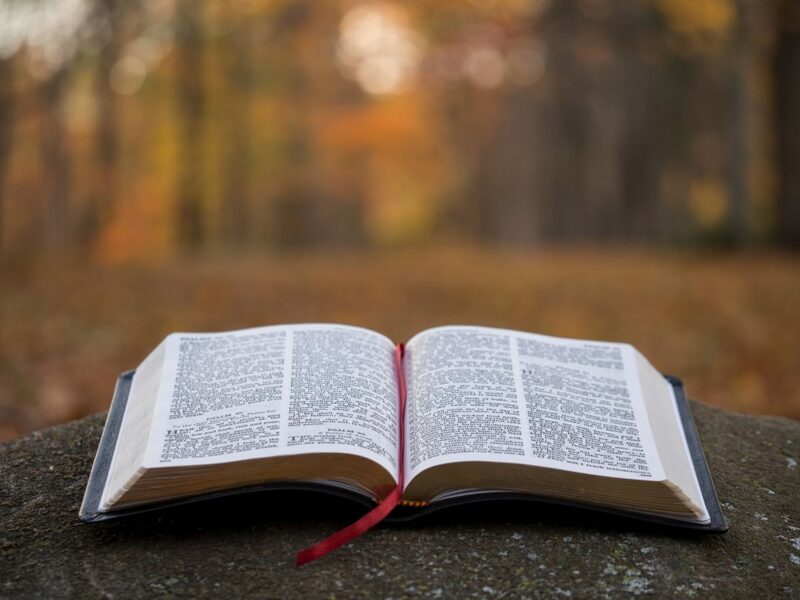 The One Year Bible in Hardcopy or through You Version – I had been having personal quiet times since the age of 9 and had been in seminary for several years when I got married. However, I had never read through the Bible. Rebecca was using this when we got married and I joined her. It gave me a plan that changed my quiet time. Now, through using it and other very similar reading plans, I have read through the Bible 8 times. I’m working on number 9. A Diary of Private Prayer by John Baillie – This book has been my parents and my own favorite prayer book. The older version has rich language. It guides my heart to pray on a deeper level. Living by the Book by Howard Hendrix – I had applied for and was planning to get my MBA when a friend invited me to audit a class. This was the text for the class. It was so exciting for me that it switch the direction of my life. For the first time I felt like I didn’t need someone to teach me the Bible. I could open it myself and the Spirit of God would speak into my life. I decided to drop the MBA idea and pursue seminary instead. Shepherding a Child’s Heart by Tedd Tripp – By nature I default towards trying to control actions instead of talking to my children about the motivations behind the actions that prompt real change in their lives. This book was huge for me. It also pushes me to see the way that God disciplines me. Systematic Theology by Wayne Grudem – I know, the title will through you off if you aren’t into reading academic stuff, but this book is phenomenal. When people ask theological questions, I will often, unapologetically, copy several pages and send it their way…. and tell them that they need this incredible resource. Bonhoeffer by Eric Metaxas – Most powerful biography I have read. Metaxas does a great job telling this true story in a more intense way than most fiction authors tell a fantastical story. I couldn’t put it down. Biblical Preaching by Haddon Robinson – Living by the Book (on this list) is why I went to seminary. Biblical Preaching is why I am a preacher. I didn’t think I would ever work in a church because I feared the act of communicating and felt I didn’t have that many good ideas. This book helped me to see that preaching is not coming up with your own ideas but learning how to expose the ideas that The Author of the Bible has given us already. Dangerous Duty of Delight by John Piper – This shorter version of Piper’s longer “Desiring God” floored me in college. I grew up feeling that Christians had to hold back the desires that are naturally part of our life. Piper showed me that those desires are God given and can only be met in God. “God is most glorified in us when we are most satisfied in Him.” Christian hedonism is beautiful and at the root of the Gospel. Church Unique by Will Mancini – I have used this book to help guide the process of identifying and defining existing church’s DNA. In addition, it has helped our leadership teams to set mission, vision, values and strategy at both Park Cities and First McKinney. Expository Exultation by John Piper – This is my bonus add… Piper is rocking my world again. The second half of this book has pushed me so hard that I often find myself going back to reread pages and paragraphs over and over. The beauty and power of God’s word and the purpose of Glorifying Himself through His Word has brought me to tears on many occasions over the last month. What about you? Have you read any of the above? Is there a book that you have purchased copies of that you hand out like candy? 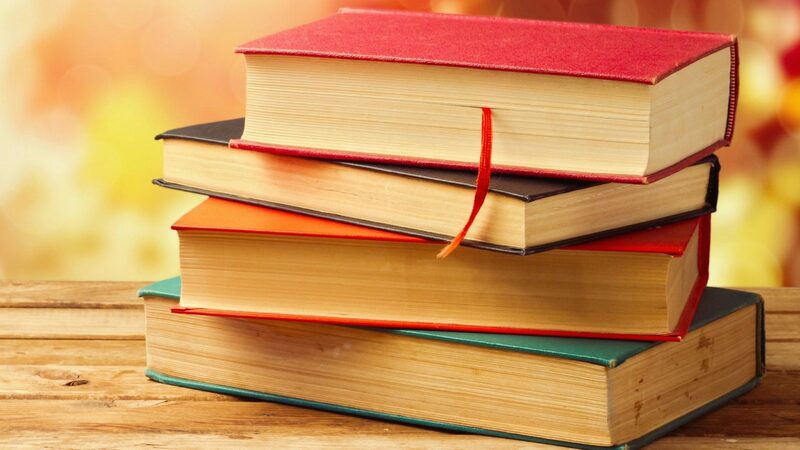 When someone asks you what book they should read, what is the first one you point them to? 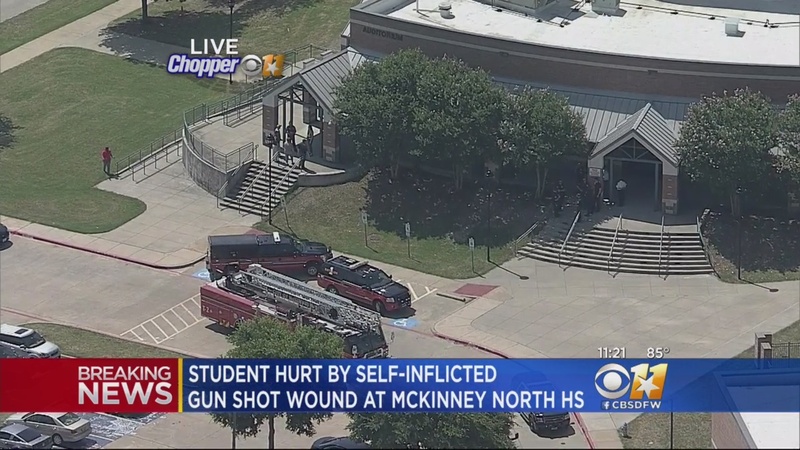 This morning, we heard the tragic news that a McKinney North High School student died from a self-inflicted gunshot wound at the school. As a pastor in our city, I wanted to help. I drove to the neighboring high school, McKinney Boyd, where they were taking the students to reunite with their parents. There, I had the chance to watch the response of the outstanding counselors from our school district. I asked them to help me to understand how I can help people respond to tragedy. I want to take some of what they shared and add to it some of what I have learned through the years as a camp director, church staffer and pastor. No one knows all the answers in a tragic situation so many will not start the conversation. Don’t be afraid to start. Be direct about your intentions: “I want to help you process what happened today.” As Jay Adams points out in Competent to Counsel, If you are a Christian, you are empowered to counsel by the Holy Spirit, The Counselor. A basic question is all it takes. Something like “Where were you when you heard the news?” Then be ready to follow the direction that they take the conversation. If they are not conversive, you don’t need to be forceful. Just be present. If they are able to talk, continue to encourage them to process their emotions. “How did it make you feel?” “What makes you angry?” “What makes you sad?” The more they can verbalize, the more healing they will experience. You don’t know all the answers. Your goal is not to give them all the answers. That said, if you are a believer, the Bible gives us hope in tragedy. One of my favorite passages for a tough time is Romans 8:18-39. Here, Paul talks about the brokenness of our world… and the hope we have in JESUS. At one point, my mom was in the hospital for over a month. A man visited her room and said the words: “I can’t help you personally, but I know someone who can. Can I take you to Him in prayer?” She has never forgotten those words. Be like the four friends that took the lame man to Jesus in Luke 12. Bring the person and the names of those involved in the tragedy to Jesus. We do not give space in our culture for grief. This Sunday, I will be preaching through the Beatitudes in which Jesus says the radical words: “Blessed are those who mourn, for they shall be comforted.” This makes no sense in our world. It could loosely be translated as: “Happy are the unhappy.” We need to give time for grief. When Nehemiah heard the tragic news that Jerusalem had been destroyed, he wrote: “As soon as I heard these words I sat down and wept and mourned for days…” (emphasis mine). 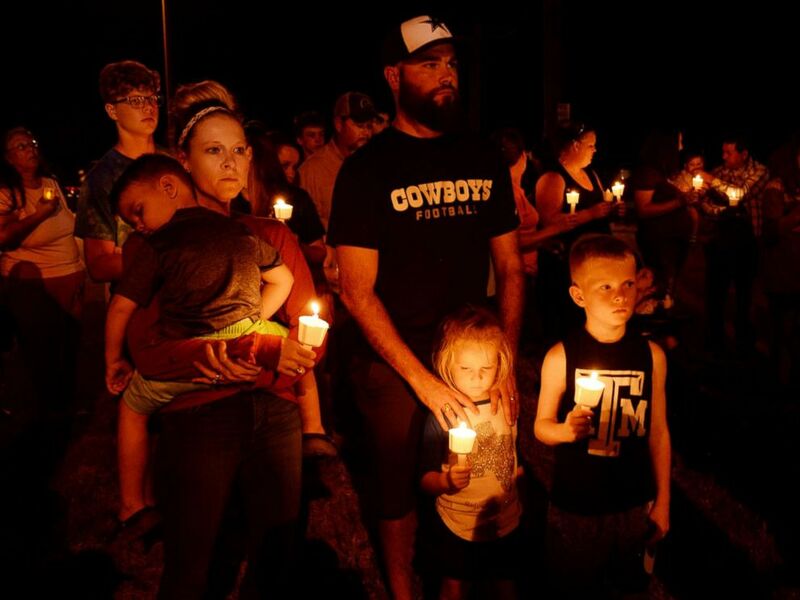 If you are reading this article, Please stop right now and pray for the family and friends of the one who took his life today and for all those who are processing this tragedy. PRAY! Romans 3:23 tells us that “All have sinned and fall short of the glory of God.” Every person that had ever lived has done evil things. We rebel against God. We live with selfish motives behind even our selfless actions. The penalty for sin is death. Romans 6:23 says that “The wages of sin is death.” Wages are what one earns for their actions. Because God is good, He must act justly in the face of the evil in the world. Our sin must be judged by a good God. 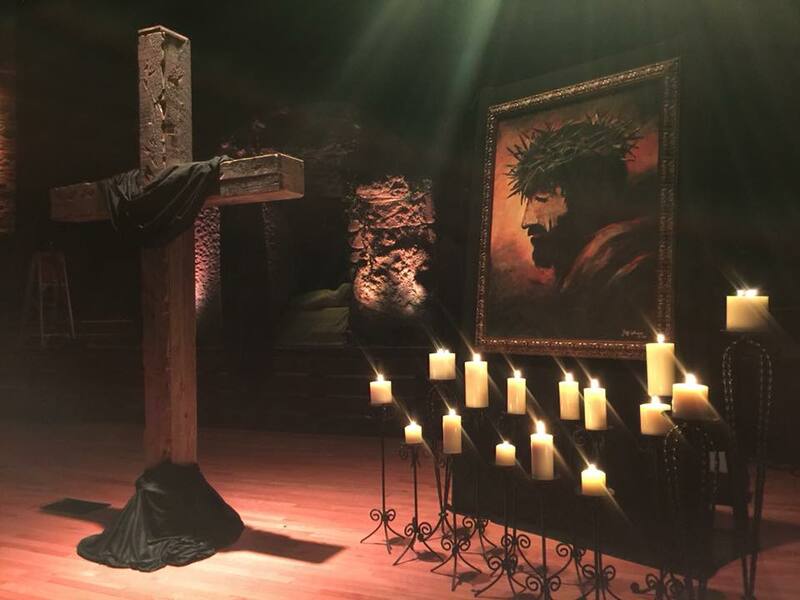 Romans 5:8 explains that a “God shows his love for us in that while we were still sinners, Christ died for us.” This is why Good Friday is Good News. “Without the shedding of blood there is no forgiveness of sins” (Hebrews 9:22). Jesus took our sin on himself and died for us. In addition, on Easter Sunday, Jesus overcame death by rising again. Jesus then appeared in resurrected form to hundreds of people. Their lives were radically changed and most died because they knew, shared and wouldn’t deny that Jesus was the Savior of the world. You can be saved by grace through faith Jesus. Ephesians 2:8–9 summarizes the Good News: “By grace you have been saved through faith. And this is not your own doing; it is the gift of God, not a result of works, so that no one may boast.” Grace is undeserved favor. We deserve death. Jesus gives life. How? We are saved or rescued through faith in what Jesus has done. Faith is believing. Faith is trusting. Faith is transformational. Jesus changes everything. If you were honest, are you trusting in your own doing or in what Jesus has done? Do you believe getting into heaven is the result of your works or the work of Jesus? When you pray do you find yourself boasting or praising with a heart of thankfulness? If you are afraid to approach God because you know the evil in your heart… If you are ashamed and feel guilty because of your lies and your lusts… I want to invite you to read the bolded points above again. It is true. Jesus changes everything. He has transformed my life and the lives of billions of people. I’ve got good news! You can be saved (rescued, delivered) right now by grace (undeserved favor, one-way love) through faith (believing, trusting) in Jesus. Talk with God like you would a loving father and thank him for Jesus. To those who haven’t experienced what happens in a Christian church. From a follower of Jesus. What is a Christian church? Christian churches are gatherings of people around a Person. Christians (the church) gather, not to focus on working harder or getting better, but to be reminded of the selfless love of Jesus. Jesus is the one who demonstrated sacrificial love for all people (everyone) by laying down his own life and rising again so that others may live… eternally. His death and resurrection are historic events that happened 2000 years ago in Jerusalem. Those events changed history and the faith of billions of people. Christian churches are gatherings of people that focus on the person and work of Jesus. Because of Jesus, Christian churches are gatherings of refuge. Christian churches are gatherings where people find help in times of trouble. Why do Christians go to church? Christians are a mess just like everyone else. All of us have hurt others in some way at some point in our lives. All of us have tendencies to be self-centered. But what makes the church different is Jesus. We go to church because we need to be reminded of what Jesus has done for us. Jesus showed us selfless and sacrificial love. Jesus’ love changes people. Christians love because Jesus first loved us. And that leads me to the other reason that Christians go to church. Christians go to church to gather with other Christians. Christians give one way love to others because Jesus first gave one way love to us. The real ones do. There is nothing like being in a gathering with people who are really for you. There is nothing like authentic friendships that go deep with people who are open about their imperfections (we don’t have to hide them because we believe Jesus came to forgive them) and love other people selflessly. In a relationship with Jesus, we find refuge and strength in times of trouble. In a relationship with those who follow Jesus, we tangibly see this refuge and strength play out. If you haven’t experienced what happens in a Christian church, you might think that gatherings of Christians will be skeptical of you coming to check it out… especially this week. It’s actually the opposite. Jesus’ selfless love for us is overwhelming for those who really get it. We long for you to experience that love for yourself… I’m emotional as I type. So, as someone who believes what the victims believe, don’t just look in from the outside and wonder what goes on when Christians gather. Check it out. I hope you will be welcomed warmly. I pray you will hear about and experience the most incredible, selfless, and sacrificial love the world has ever known. It’s the only place in the world where you will find supernatural refuge and strength in times of trouble. You might think that this is an insensitive statement after yesterday’s shootings. 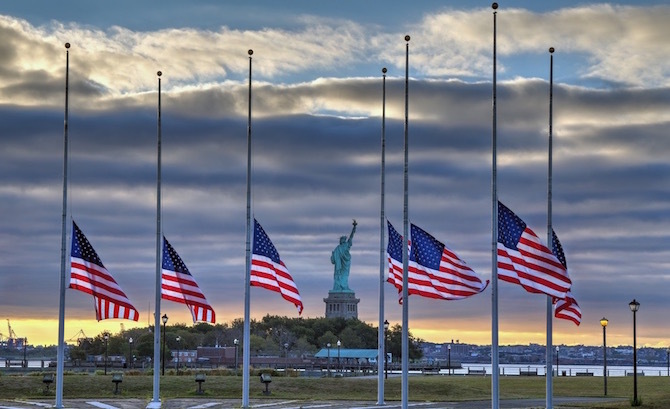 I know this is what would most honor of those who lost their lives. I honestly believe that this is what they would want you to hear. As a Christian, if I had been shot in a church yesterday, this is what I would want someone to write to the world. Because I believe what they believe, I know their greatest desire right now is for you to experience on earth what they are experiencing in heaven. The gathering of people around a person – Jesus. It gives our family opportunity to talk about Spiritual heroes. Many Christians have run from the holiday because they see it as focusing on demons and witches. Interestingly, the history of the holiday is the opposite. Halloween is a conjunction of the words “Hallowed Eve.” In 835, Pope Gregory decided to take a Romanized Celtic holiday to honor the dead and connect it to a three day festival to honor martyrs on November 1st and all who have died on November 2nd. It gives our family an opportunity to love our neighbors. On Halloween, many will turn their lights off and pretend not to be home. Going door-to-door to collect treats is a tradition that began in Ireland hundreds of years ago. Farmers would knock on doors to collect food for a village feast and bonfire. It was a community event. During the 1800s, many people migrated from Ireland to the United States and they brought the activity with them. Christians go out of the way to show love to our neighbors. Halloween is the holiday on the calendar that most encourages our culture to knock on our neighbor’s doors. It also gives us an easy way to show love to our neighbors’ kids by putting candy in their hands. At Halloween, talk about how Jesus taught that all Old Testament could be summarized in the Great Commandment to love God and love your neighbor. If you want to go further, In Luke 10:25-37, Jesus tells the story of the good Samaritan to elaborate on how we should go out of our way to love our neighbors. It gives our family an opportunity to have fun. OK, so maybe that isn’t a “spiritual” reason, but I’m serious. We look for opportunities to laugh together. Getting dressed up is fun. Serving our neighbors is really fun… It is better to give than receive. 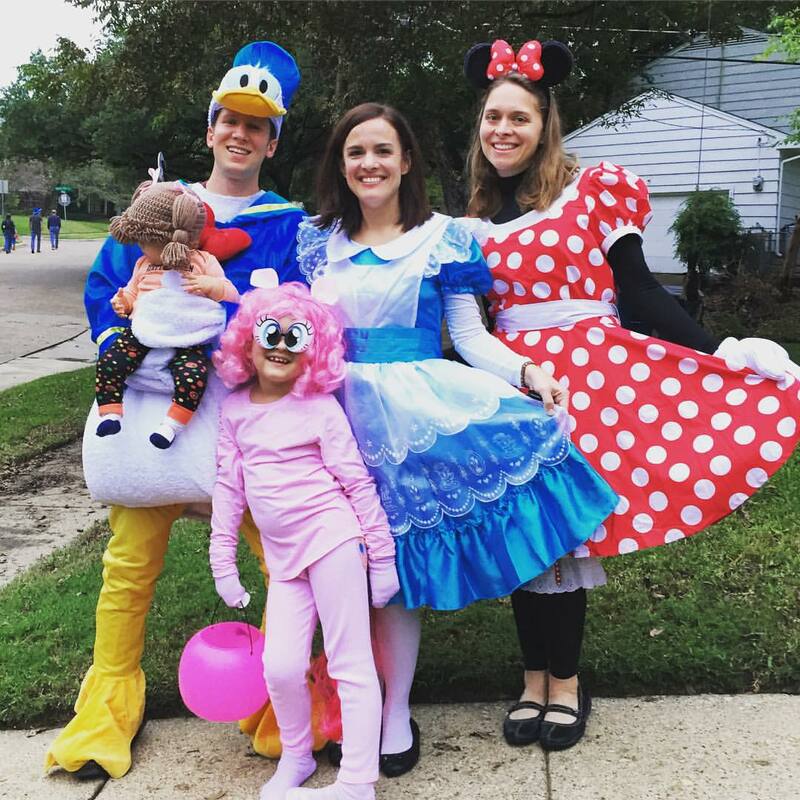 Our kids love handing out candy and watching mom and dad get into it. What will your family do tonight? If you have a thoughtful response, please share it below. This morning we awoke to the tragic news of the shooting in Las Vegas. At the point of my writing, the death total has now risen to 58. It is the worst mass shooting in US history. Our hearts break. In love we pray for the victims’ families and the suspect’s families… and many of us are afraid. Jesus’ prayer is for His followers to be in the world, not of the world, and sent to the world. If we are going to accomplish our mission, the Great Commission, we must not retreat in fear. We must react in faith. The world needs Christians today. Your coworkers, classmates, friends and neighbors need the hope of Jesus today more than ever. Yes, pray for Las Vegas (Please, stop and do that now. )… AND, don’t retreat in fear. React in faith. Run towards people not away from them. Go and be the hands and feet of Jesus. The world needs the hope that we have. I'm seeking to follow Jesus every day. As a step in the process, I'm reading through the Bible (This year - Read the Bible For Life 4 + 1 plan. You can find the plan in print and on YouVersion) and asking three questions: 1. What is God saying to me? 2. How will I obey? 3. Who will I tell? Join me.